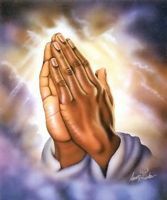 I am requesting prayer for my friend Aneesh & myself for new Job. Aneesh is applying for jobs & waiting for interviews. I already attended interview & waiting for reply. By the Grace of Jesus, my interview was good & expecting a positive reply. Please pray for our new Jobs. Our present company is going to remove some staffs due to cost cutting & may it will affect us also. So we, our entire family requesting all of you to pray for our job security.